Installing a Heat Pump? A Few Things to Consider | Balanced Air, Inc.
Do you plan to use the heat pump as both an AC and heater? This is the first critical question to ask. A heat pump is both an air conditioner and heater, and it costs more to install than a standard AC. If you are only looking for a new air conditioning system and have no immediate plans to install a new heating system, a heat pump isn’t a good choice. To get the full return on investment in a heat pump, you need to use it for both weather extremes around the year. If you only need to have an AC, we can offer you some excellent energy-efficient options to meet your budget. 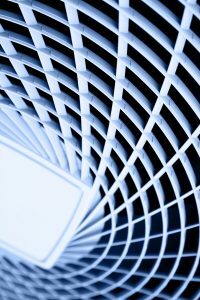 Does your home already have a ventilation network of ducts? If so, then installing a heat pump is a straightforward operation for technicians, who remove the AC from the cabinet (as well as the electric furnace, if there is one) and put the heat pump in its place to use the same ducts. If your home has no ducts at all, you can still have a heat pump, but you’ll need a ductless heat pump. Ask our experts about how these work and the ways we can outfit your home for one. When you’ve previously looked around for an air conditioner or a heater, you’ll have seen they have one efficiency rating. With heat pumps, there are two efficiency ratings, one for the cooling mode and one for the heating mode. The cooling mode is SEER, which is identical to the way a SEER rating works for an AC. Heating mode efficiency is HSPF, which is measured similarly to SEER, and as with it, the higher the number, the more efficient. However, HSPF is always lower than SEER on a heat pump. You won’t have to concern yourself too much with the difference since most heat pumps can provide comfort in our mild winters with few problems. Please always arrange for a heat pump installation with professionals, since a heat pump must be accurately sized so it can supply the comfort needed without creating energy waste. Call on Balanced Air, Inc. to schedule your heat pump installation in the Clearwater, FL area.